After being disqualified from the season opener in Innsbruck last week, the Vancouver 2010 and Sochi 2014 Olympic gold medallist fell to sixth place after a mistake on his second run in challenging conditions forced him to relinquish a lead he had held after the first. 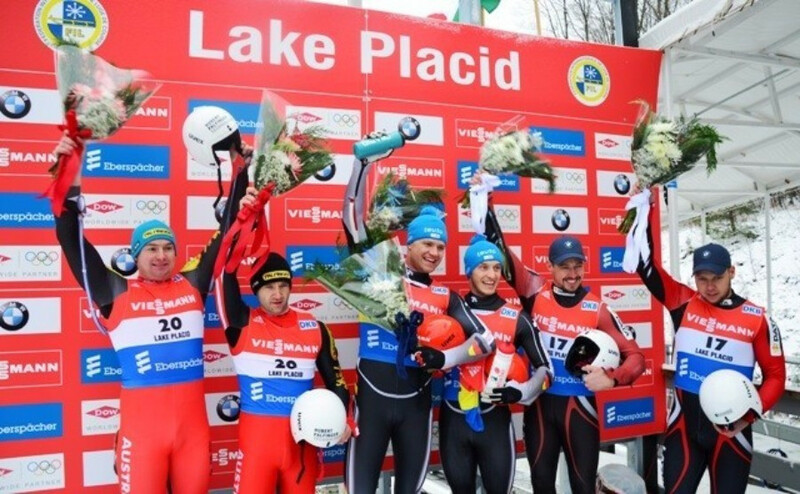 This allowed Mazdzer to capitalise and win in a combined time of 1min 42.808sec, 0.033 seconds ahead of team-mate and last year's Lake Placid winner, Tucker West. Austria's Wolfgang Kindl finish third a further 0.007 back. It marked Mazder's second World Cup victory and was the first US 1-2 since 1996, when three US doubles teams shared the podium in Lillehammer. “This feels awesome to do it on your home track," said Mazdzer, sixth in this year's World Championships. "It sped up for the race runs. "All the training we had here at the beginning of the year, the thousands of runs we’ve taken - it finally paid off by having that experience and making it down both runs." Loch is still waiting for his first World Cup victory at Lake Placid, where his only win to date came when he became world champion in 2009. There were no surprises or German disappointments on the doubles side, however, with Toni Eggert and Sascha Benecken following up their victory in Innsbruck with another dominant performance. They won in 1:27.583 to defeat Austria's Peter Penz and Georg Fischler to a second successive silver medal. Two-time Olympic medallists Andris and Juris Sics took bronze for Latvia, as German world and Olympic champion Tobias Wendi and Tobia Arlt could only manage eighth place. Action is due to continue in the US resort with the women's singles event tomorrow.